The first time I talked to Linda was at a Chamber of Commerce event. I was walking around talking with people and I just happened to find this lady. I forget what the issue of the day was, but we talked a little bit about what was going on in the city at the time. She seemed to be quite engaged and I kept talking and brought up another subject and she knew a lot about that subject too. I kept thinking to myself, “wow this lady knows a lot about the going on in the city”. It turns out after talking for 10 or 15 minutes I figured out that she was actually one of the people that was running for council. This was a before the primary. I was pretty impressed with her knowledge of the city even before I knew it was her that was running. Another thing that really impressed me was that I could tell negative newspaper articles had already caused her to formed a negative impression about me. But even with that impression, she was still able to engage in a conversation with good back and forth that included positives and negatives about each of the issues. She did this without being judgmental or letting her assessment be corrupted by newspaper reports. Now that's kind of an important characteristic for a lot of reasons. A lot of people don't realize that Mark Campbell has actually spent four hundred thousand dollars advertising his business. When you have the kind of business relationships, newspaper articles are going to end up being tainted in your favor. That's just the fact of the matter. You know, that's life. That's how it goes. On the other hand, I'm a politician that doesn't even take campaign contributions. Obviously, I'm not spending that kind of money paying for advertising. Like I said that is just part of life. The point being is that Linda was able to put those things out of mind while assessing current issues. Looking further into her background, Linda's got some good experience with managing facilities on base. She has managed childcare facilities. She's got a budgeting and financial background. She is well qualified and very, very intelligent. She is prepared to walk into the position. Negatives: He was key in introducing a novel concept of inserting a third project manager into the building of the Music Center. That concept added over a half million dollars to the cost & is the gentleman sitting in front of Mr. Campbell on a ride at Disney. Mr. Campbell prefers using closed door methods to devise plans and avoid public scrutiny. Analysis: It is impossible to justify a series of decisions made, at the expense of the city, that benefit projects associated with friends and associates. I recommend voting for Ms. Morin. For the longest time I wasn't going to endorse either candidate in the race for Ward 5. I was always going to go around and let everybody know that it was a contested race so that people could observe Linda Morin and see if she was a good candidate and judge for themselves. Recently, I decided to endorse Linda Morin. There are a couple of reasons, one of which is she's actually a pretty good candidate. She is very smart. The other reason has to do with the way city business gets run. Now the particular instance that caused me to change my attitude toward the race really did not have very much to do with Mark Campbell himself. It was the energy aggregation four to four vote. When the energy aggregation vote came up, I really thought it was going to be a 5-3 vote in favor. My expectation was I would then go ahead and veto that legislation. 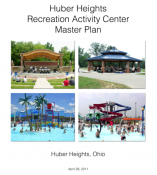 I was going to veto that legislation because of all the irregularities that went along with how that company was picked and more importantly, that I was not able to get assurances in the contract that would help make sure the residents of this city got the best deal. But when the vote came up and it turned out to be four to four I voted to pass the legislation. There were a couple of reasons I voted yes. One is because it is a good program for the city. It was the other reason that changed my attitude toward this race. While making my decision I was thinking of all the irregularities. At the end I concluded that although problems were many, if this were a trial I would not convict the city manager of a crime. After thinking about it for quite a while, I thought, "why am I spending so much time thinking about whether our city officials are committing crimes?” This is not even an isolated case. 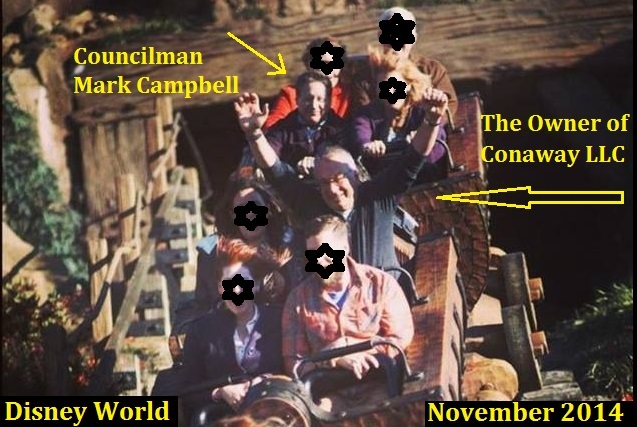 You may know, there is a picture Mark Campbell on the ride at Disney World with a contractor that has been involved with three major no-bid contracts from the city. The one for the Music Center added about $600,000 to the cost of the Music Center. Typically, the person representing the city would be a city employee that would be paid about in the hundred thousand dollars a year range. Introducing this third construction manager cost the city a lot of money. Then add to that these were no bid contracts and I have the same issues with the construction manager contracts as with the energy aggregation contract. 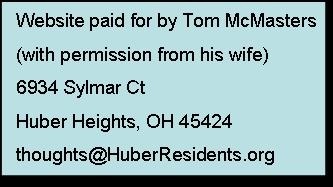 I could not get Mark Campbell to support my call to add a conflict of interest clause in that contract nor did he support adding language to the contract that said that person would have to adhere to the same ethical standards as a city employee. Not only was it very expensive, for the city, but you had no assurances. These are the things that just bother me. Again, if this were a trial, I wouldn't convict anybody of a crime, but why do I have to spend so much time worrying about that instead of worrying about numbers and whether we're actually making good decisions that help make sure our tax dollars are spent wisely? Linda Morin is a smart person with good work experiences, good personnel experience, management experience, numbers experience. I think Mark is a very smart person, very organized person, but it is time to concede that it is in the best interest of the city if somebody that isn't going to hurt the reputation of the city gets elected. Please go out and vote. I appreciate and recommend you vote for Linda Morin.